My back to US packing started. Two main things that I pack for sure are Sambhar powder and Rasam Powder. 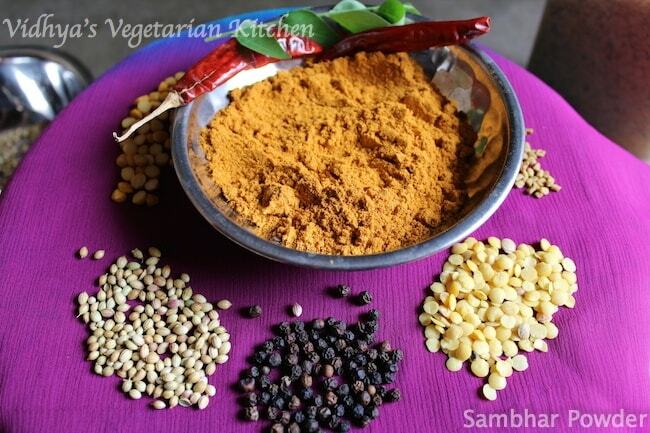 Till date I haven’t used store-bought sambhar powder for long time. I have always used home-made ones. Luckily every time when parents travel or I travel I always take them. I stock them and keep them in my freezer. 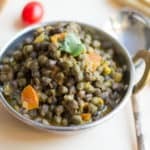 Along with these, some times I take Paruppu podi and kariveppilai podi and I have posted the recipes already. Everytime when I am travelling within India, my mom or MIL prepares this powder and pack it. Never got a chance to take pics. So I couldn’t post the recipe at all. 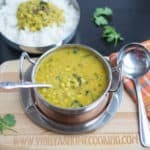 But last week my MIL prepared this sambhar powder for me and I was there too and glad I got a chance to take pics and here is the recipe. If using turmeric powder then 50 gms if you are using virali manjal (turmeric) then 4 or 5 should be good enough. Sun dry all the ingredients for at least 2 days. If its peak summer 1 day should be sufficient. 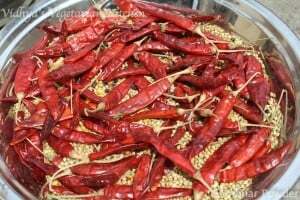 Basically you should be able to crush the red chillies and dhaniya with the hand. Thats the right stage and an indicator that the ingredients are ready for dry grinding. We usually give these ingredients in the flour mill and get it grinded into fine powder. If you don’t have flour mill nearby dry grind in the mixie and make sure you mix well after grinding all the ingredients. And that’s it. 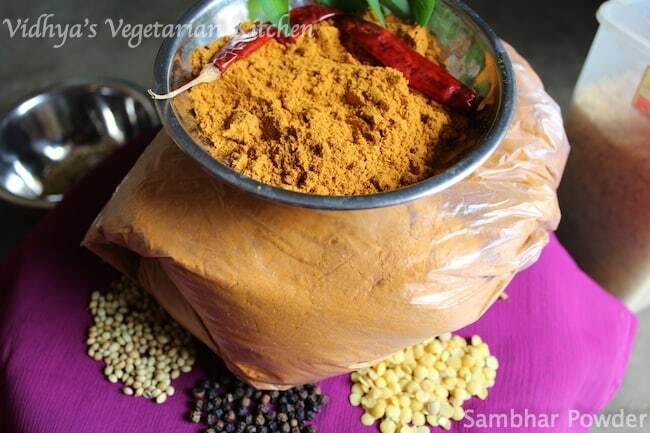 Sambhar powder is ready and store this in an air tight container. Ah..ha I can smell the sambar powder. This is an essential in our kitchens. What would we do without it! I used to carry it but now I make it at home. Sun drying the ingredient is a neat idea. I normally dry roast it before powdering. :-) :-) Thanks. During winter I dry roast but otherwise we go for sun drying. :-) :-) Please try it out. 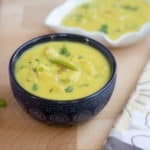 It’s time for me to make some sambar powder too. 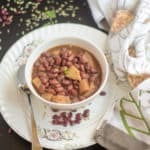 Love your version; it has a nice amount of black pepper! Yeah we do add lot of black pepper. Thanks Apsara.